What's a Wahaca you say? It's the latest chain of cheap eats restaurants to hit London. Wahaca is based on the delectable delights of Mexican market food. Margarita sorbet, tortilla soup or a simple burrito, this cheap eat (as honoured by The Observer Food Monthly Awards) is a dinner not to be missed. You can get three mini Chicken Tinga Taco's for £3.40 and a classic Mexican Enchilada for £8.50. The menu also indicates which dishes are vegetarian and which are certified. Wahaca have started using local organic pork for its chorizo instead flying it over from Spain. They've found a organic British pig farmer that meets Soil Associations regulations to supply them with the finest meat for their quesadillas. 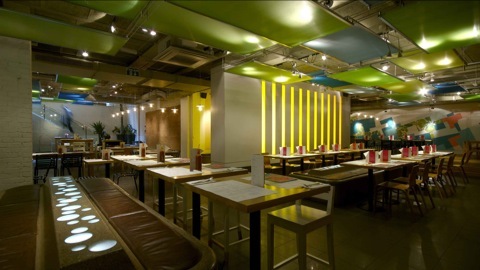 All Wahaca's meat is local in fact - bought in Britain. 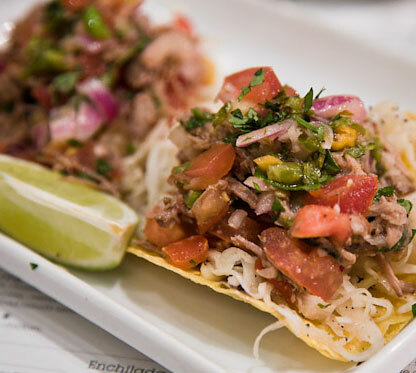 Wahaca have also just become certified by the Marine Stewardship Council, which means they only use fish that has been caught by fisherman operating sustainably ie from healthy stocks and minimise impact on local habitats and species. So Wahaca's shrimp taco now has a few extra good conscious vibes thrown in. The organic pigs didn't really float my boat when I visited the Covent Garden Wahaca but what did were the bright pink and blue matchbox chillies you can take home to plant your own Jalapenos with. They actually grow into quite the flourishing chilli plant.